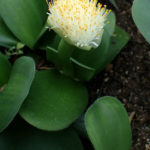 Haemanthus albiflos is an evergreen to semi-evergreen, bulbous plant up to 12 inches (30 cm) tall when in flower. 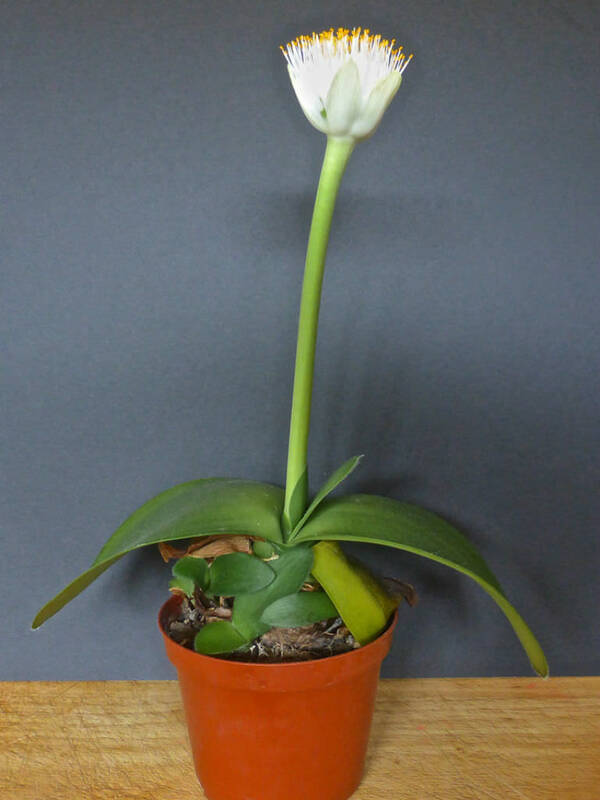 The thickset, succulent, strap-like leaves vary in color from light to dark grayish-green and often have a lovely rosy-pink glow and a layer of fine, yellow dots, especially when young. They are up to 16 inches (40 cm) long and up to 4.4 inches (11 cm) wide. The flowers are small, white, in dense umbels and followed by a cluster of large, red berries. USDA hardiness zones 9b to 11b: from 25 °F (−3.9 °C) to 45 °F (+7.2 °C). 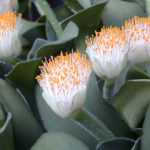 Paint Brush is an ideal plant for a shady rock garden or for difficult parts of the garden receiving poor light, where it can be left to multiply for many years. 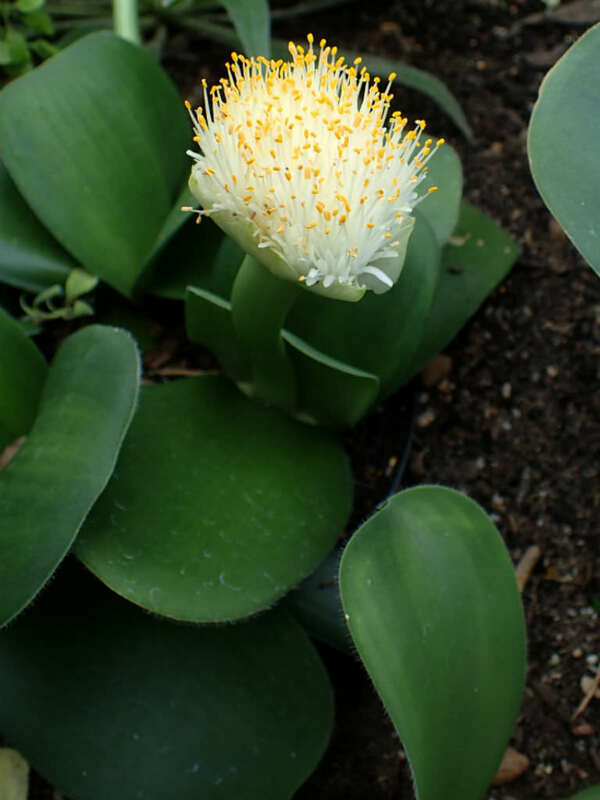 It is one of the easiest of all the Haemanthus species to grow. 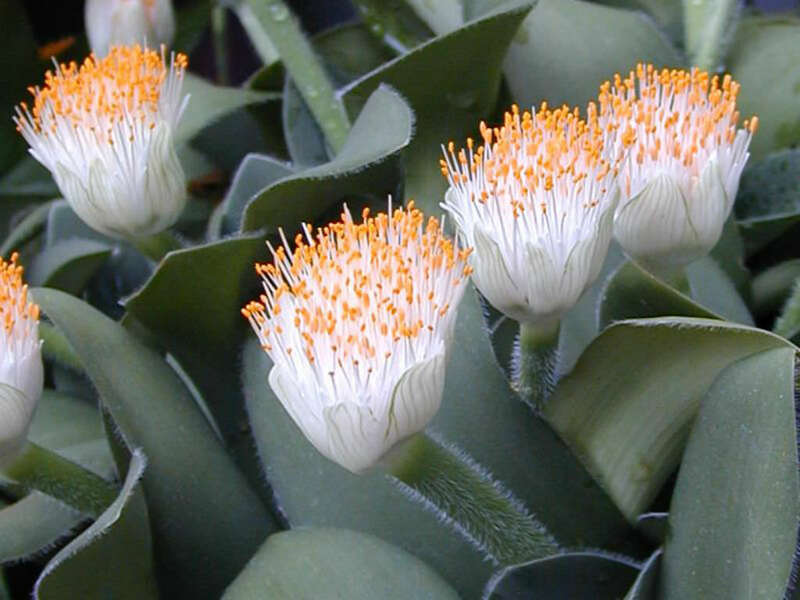 It requires a dappled shade position and likes to remain undisturbed for many years once established. The soil must be well aerated. A suggested medium is equal parts of well rotted compost, coarse river sand and loam. 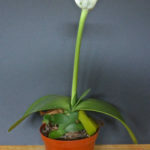 Plant the greenish bulbs with the upper half exposed and the thick fleshy roots spread out horizontally over the soil. 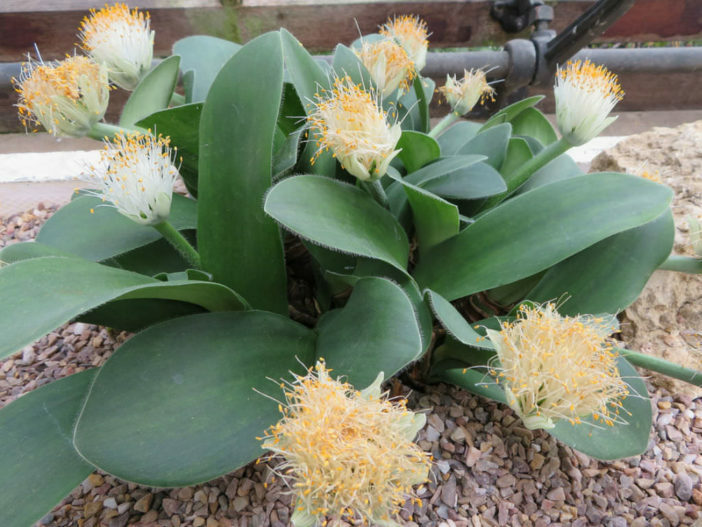 Haemanthus albiflos is native to South Africa.